In the days we used to use a song as a ringtone the technology had been a lot more different than today but the changes not reflected on simple tasks as such; using a ringtone on your iPhone might be more complicated than it used be performed in the old days on your Nokia phone, interestingly using a favourite song as a ringtone is actually hassle to set up and not many people aware of how it is done, in this article we will be explaining how to set up your favourite song as your devices ringtone in the simpliest stages. 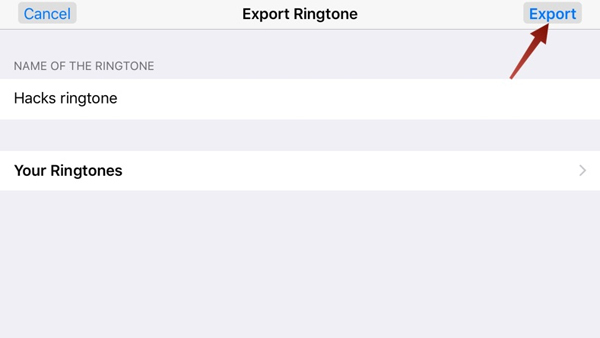 Users can also get a ringtone assignement to a song in their iTunes list but some users are interested in creating their own ringtones without using iTunes or requirements of a computer. 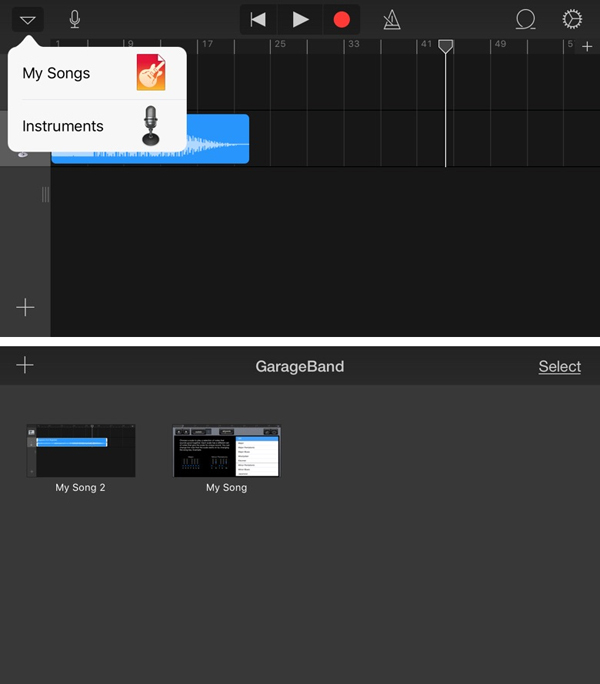 You can download or import the song of your choice into the Music Library, if this step is skipped you cannot place the song in your GarageBand and will not be able to complete the actions to follow. In this stage you open GarageBand. 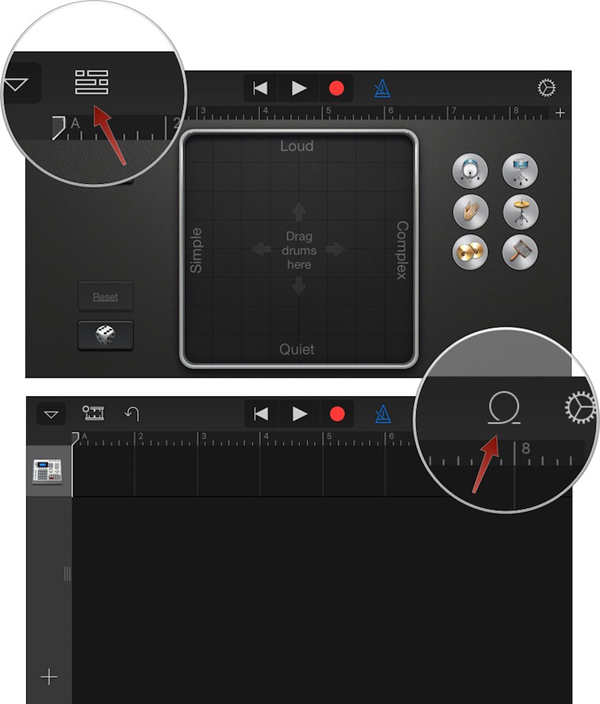 If you do not have GarageBand pre-installed on your iPhone, you can download it in the App Store. Import the song of your preference by choosing any of the instrument sections and tapping on the View button followed by the Loop Browser button. Now you need to select the Music tab and find the song you chosen. Please be aware songs that are grayed out cannot be added to GarageBand list. 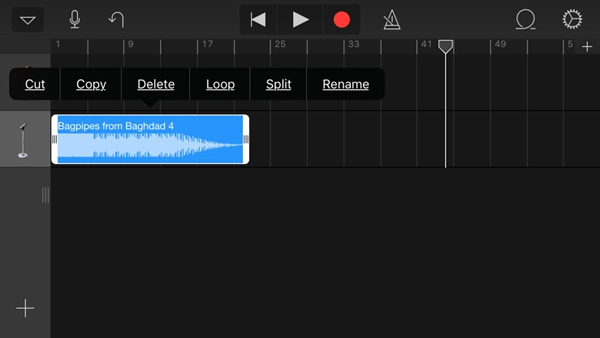 You need to drag the song to the left or right to add it to GarageBand. Since the default length is extremely short you’ll need to edit the track length of the chosen song to hear more of your song. Tap on the small + icon to add bars to your track; the more bars you add, the longer the song clip becomes. This section will allow you to choose the part of the song you would like to use as your ringtone as well. 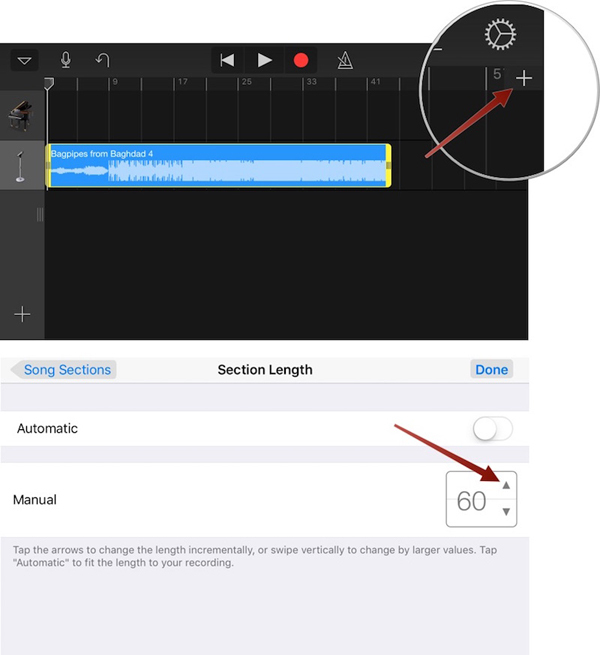 Editting section will allow you to trim the part of the song and adjust the length of the song you would like to set up as your ringtone. 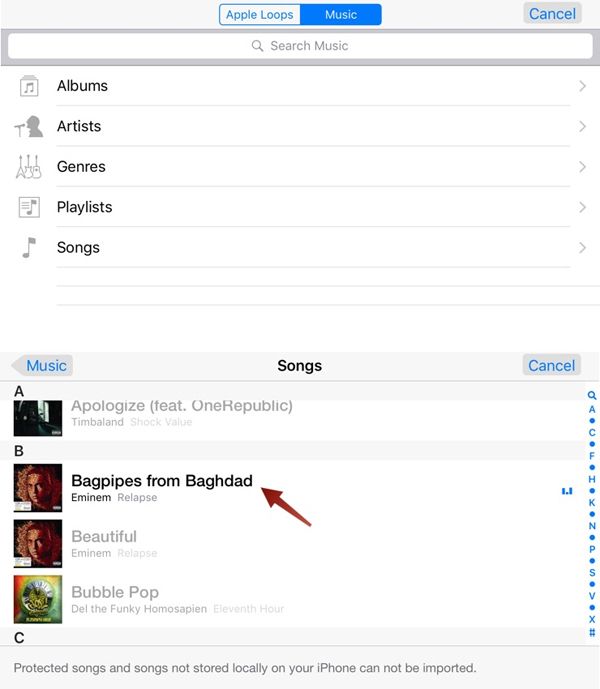 Looping, splitting and more options are also possible by double tapping the song preview. You may pull in from beginning or from middle of the song to create your trimmed section and the sides will be turning yellow to set the desired section of the song. The combination you create will be your ringtone so i must remind you that selection should be made caustiously and you need to like hearing your ringtone when your phone rings. You can now hit the drop-down arrow and tap My Songs to complete the final clip. The ringtone you have created by doing all the steps will automatically be saved as “My Song”. You can rename the title by tapping on it similary as renaming a file on your desktop. 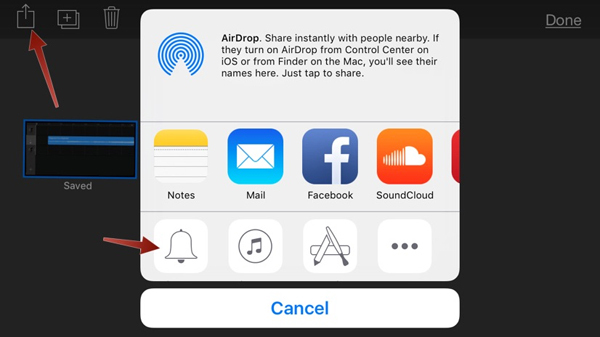 In this step you can tap and hold the thumbnail for your song and menu options will appear above then you can tap the Share icon, followed by the Ringtone icon. Please name the ringtone and tap on export. As exporting completed tap on Use Sound As, and select the option for when you want to hear the ringtone in the following menu. 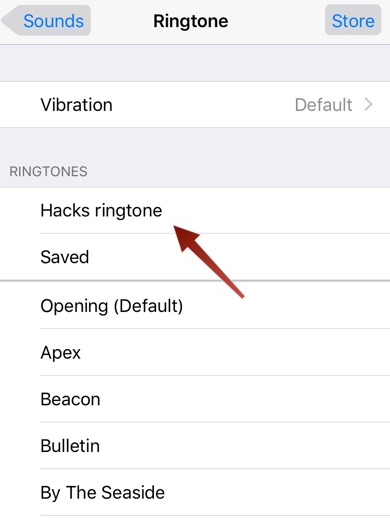 Alternatively you can also add the ringtone by following the actions Settings -> Sounds -> Ringtone and selecting your ringtone from the list, task completed. As soon as you get the grasp of the steps the process can be replicated several times for you to assign a different song as ringtone for several people, the options and choices are yours. 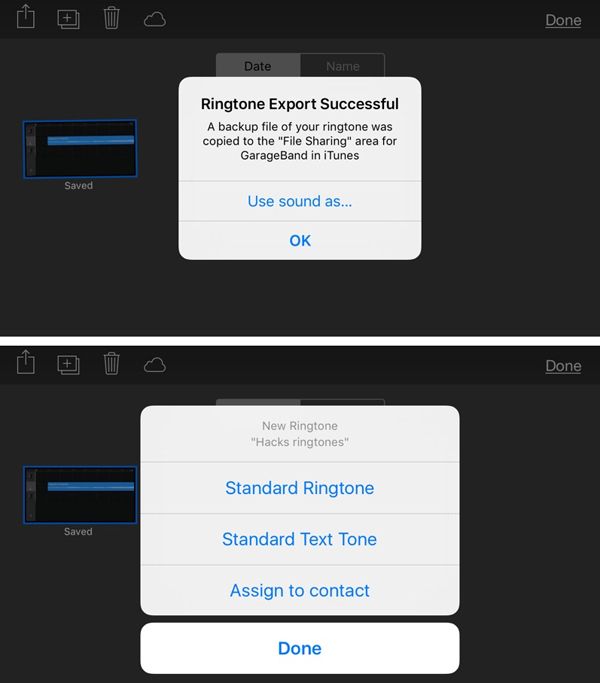 Let us know if you think ringtones are really worth the extra effort and how easy you found the overall process. The founder of Contrast has announced that the Launch Center Pro has hit its 2.5 version, on the 15th of September of 2015 and one of the updates that will be included on the app is the “Today widget” that will be successfully incorporated into the notification center as well as support from several thousands of other applications. With Today Widget, the users of Launch Center Pro will be able to initiate actions without the need to open the app first. Currently, the Launch Center Pro will allow a user to design and execute several actions on iPhone and iPad, at the same time and from one place. Now, you can open a camera on Instagram and at the same time initiate a new Omni Focus activity. Is Safari going to be the new Internet Explorer with similar destiny? Safari, Apple’s web browser is in risk of becoming the new Internet Explorer which is an outdated program that developers and consumers do not use, recently developer Nolan Lawson also argued this in Ars Technica stating that during his visit to EdgeConf in UK the only brand which was not there has been Apple. This provides a general opinion about Safari lagging behind other browsers. Vine is a joyful video sharing and socialising application we are familiar of for some time already and seeing that Vine++ has released given us more satisfaction since it has quite different features compared to the older version.